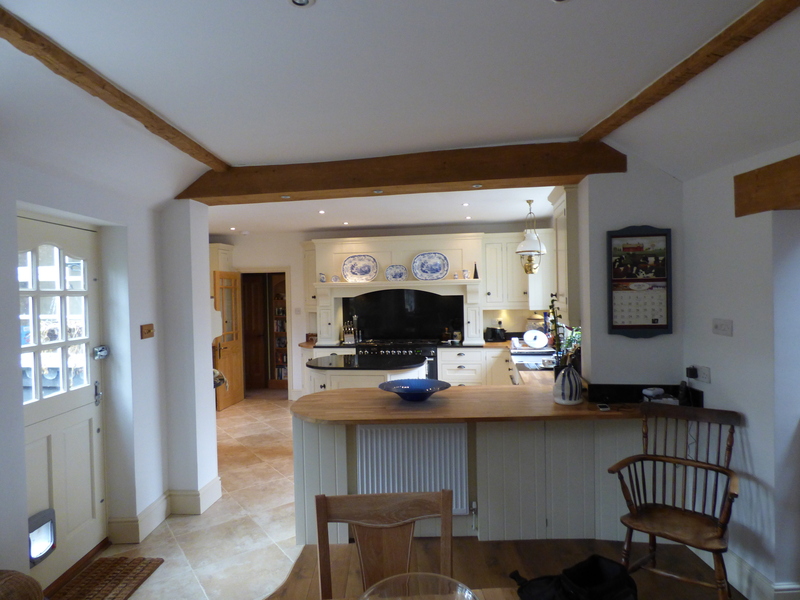 We worked with the owners to amend original drawing designs to improve the overall layout/function of the kitchen. 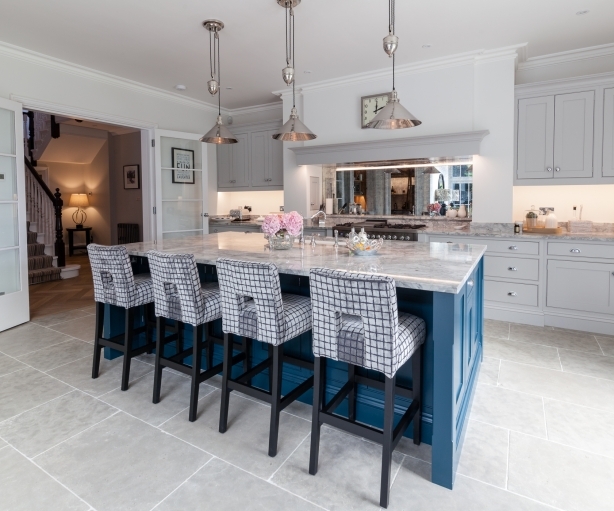 This beautiful hand painted wooden kitchen included granite and solid oak surfaces and traditional handles and fittings. We also built and installed a specialist unit leaving the flint/brickwork exposed within the cupboard. 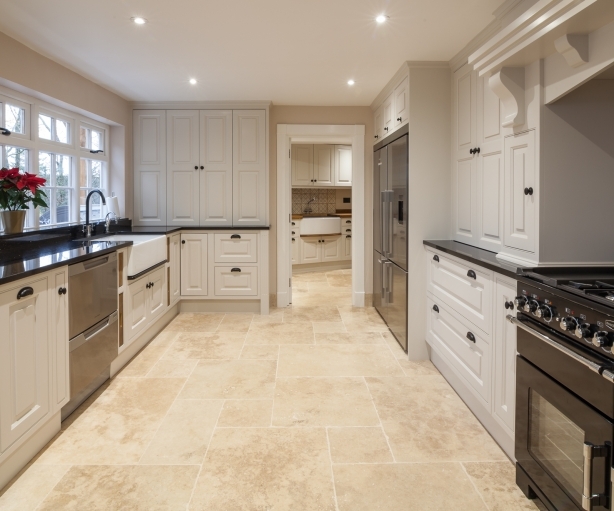 The duration of works from the manufacture of the kitchen to a fully completed install was 8 weeks.